Sole advisor to Hertz India in a transaction with SIDBI Ventures. Avendus has recently raised private equity funding for the Indian licensee of Hertz (Carzonrent), a global leader in the car rentals space from the venture capital arm of SIDBI. This has enabled the company to expand its service lines, acquire more fleet, enhance its Car rental infrastructures, perk up its technology utilization and extend its geographical reach. SIDBI Venture Capital has acquired a minority stake in Carzonrent, with a total investment commitment of Rs 10 crores. The investment is at almost 11 times the face value of Carzonrent shares and is the largest investment by SVCL from their recently launched Rs 500-crore fund. This investment makes Carzonrent India one of the highest capitalized travel and tourism companies in India. 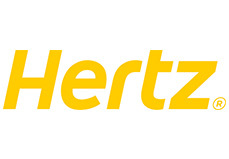 Hertz India is planning to raise its fleet of cars to about 5,000 in the next three years from the current 650. In addition, the company plans to introduce various services and increase the number of its outlets (including through a tie-up with HPCL petrol pumps) in order to enhance its presence to around 32 cities in India. The company estimates an investment of Rs 300 crores over the next three years to fuel its expansion plans. For Avendus, this heralds its recent foray in the travel and hospitality space. It marks the successful beginning of another vertical focus in its repertoire. Avendus Advisors is an investment bank offering Private Equity Syndication, M&A, Fixed Income and Strategic Advisory services to corporates and funds. Avendus has strong research capabilities and relationships which it leverages to close transactions for its clients in aggressive time frames. With a strong Indian presence and global relationships, Avendus has been an investment bank of choice both for international investors and companies who are scouting for business opportunities in India and Indian companies looking at strategic initiatives in overseas markets. In the past few months, Avendus has helped close transactions valued at more than US$ 90 million including the buyout of Fremont California based Cymbal Corporation by Patni Computers for US$ 68 million and the acquisition of Accurum, a capital markets focused IT Solutions provider by Kanbay, a global IT services firm focused on the financial services industry for US$ 12 million.